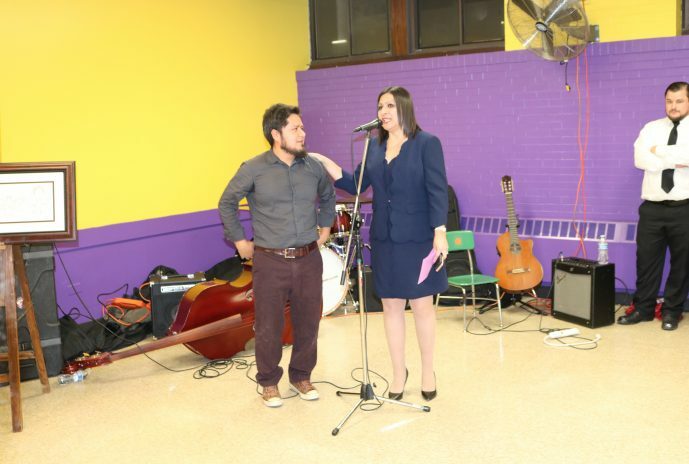 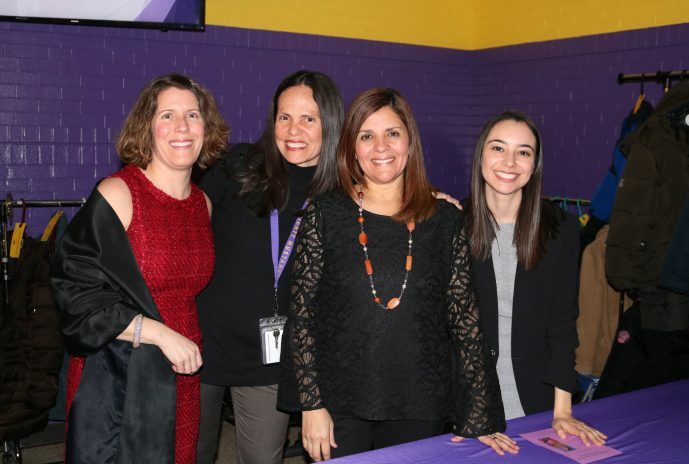 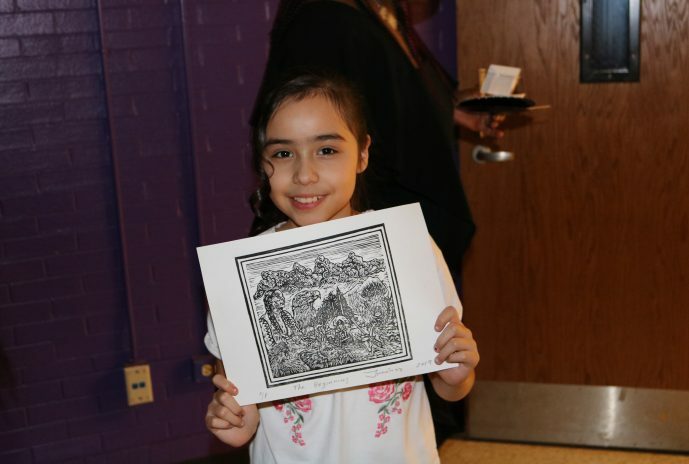 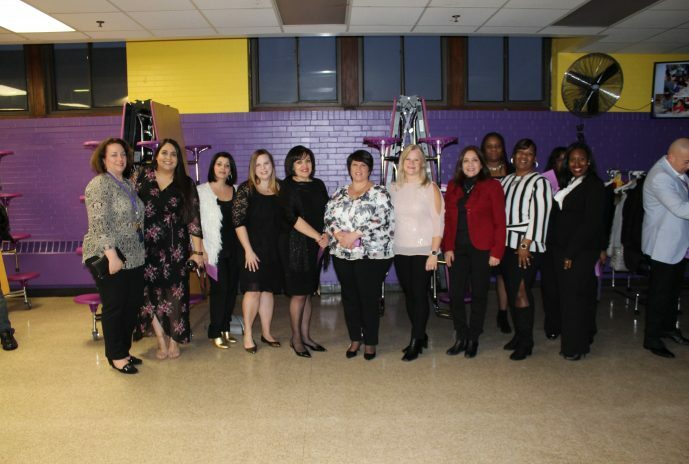 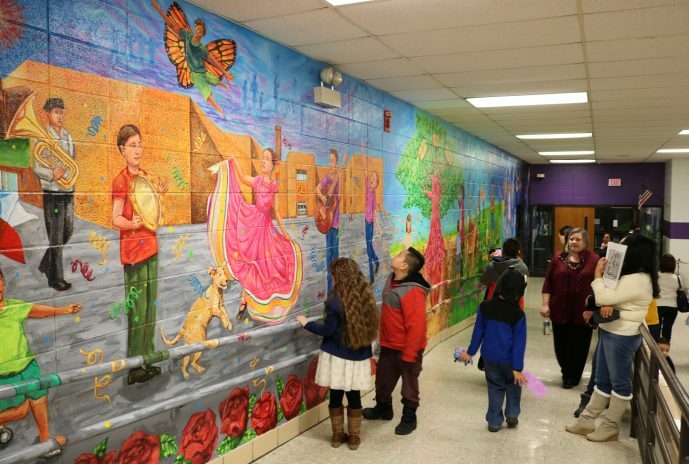 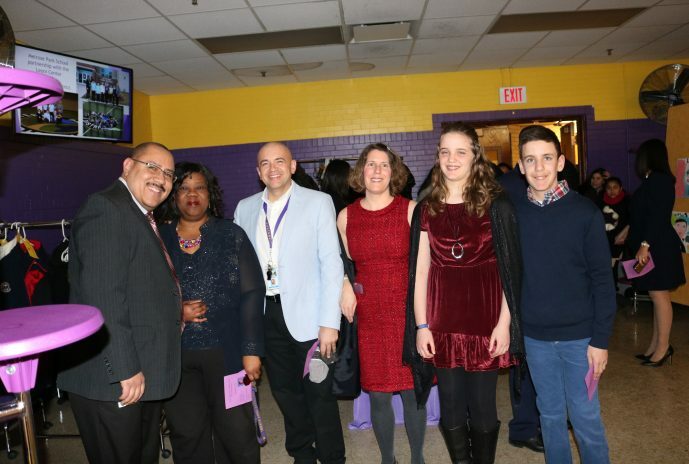 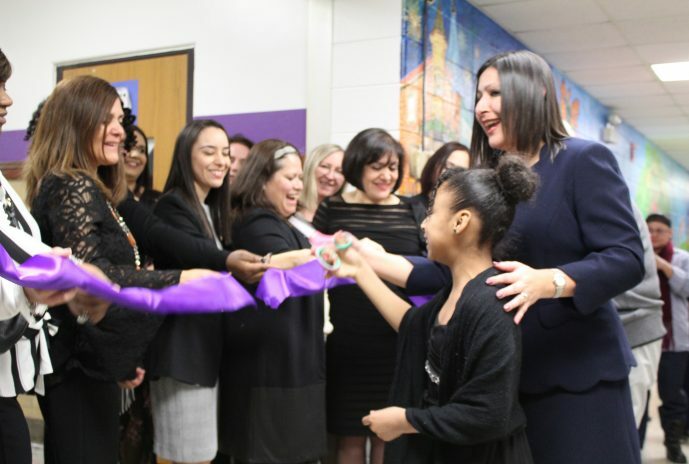 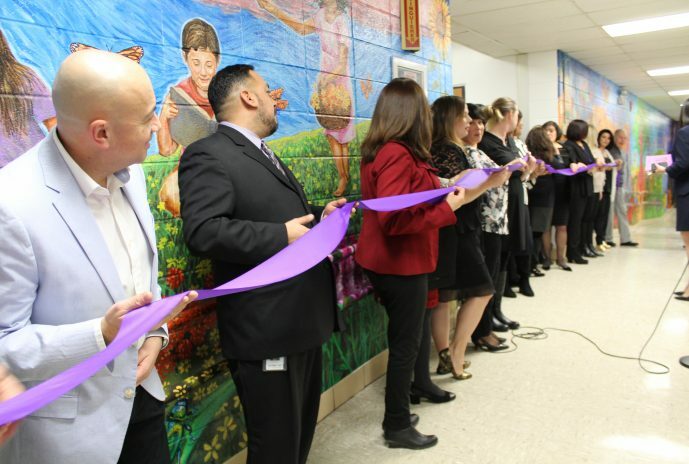 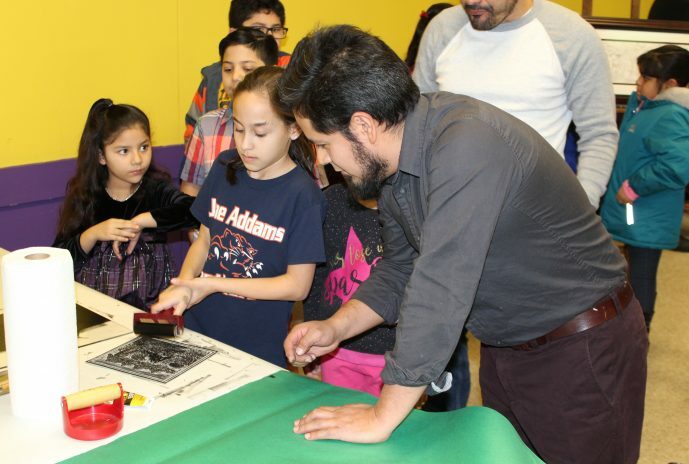 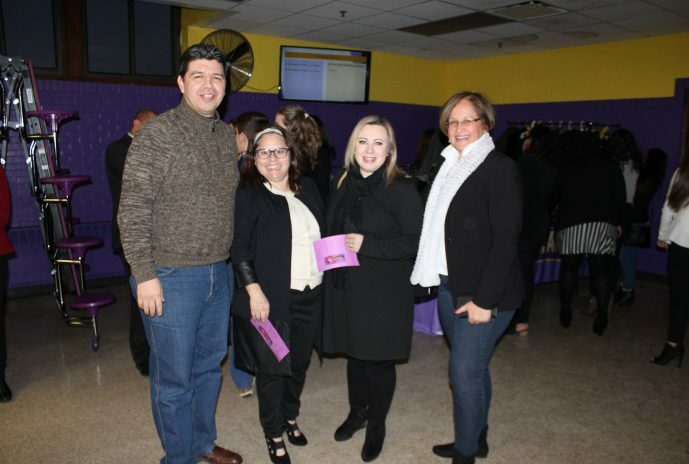 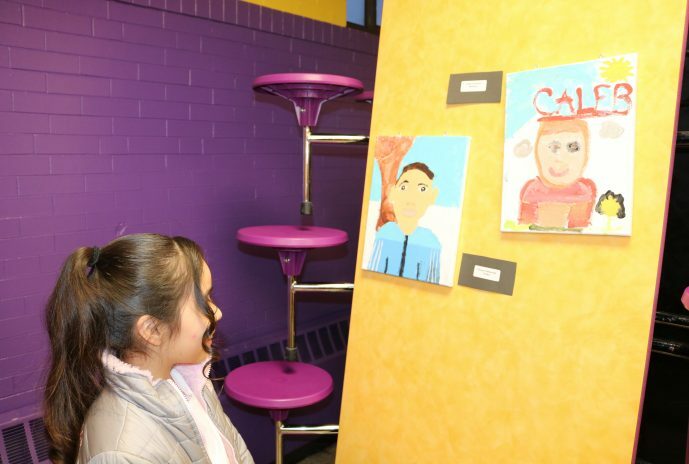 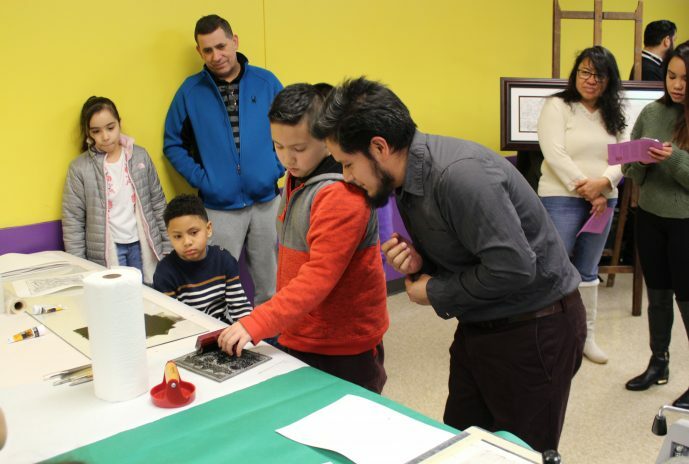 On Friday, January 25th, the Historical Timeline of Melrose Park mural officially introduced to school families, District leaders, and community partners. 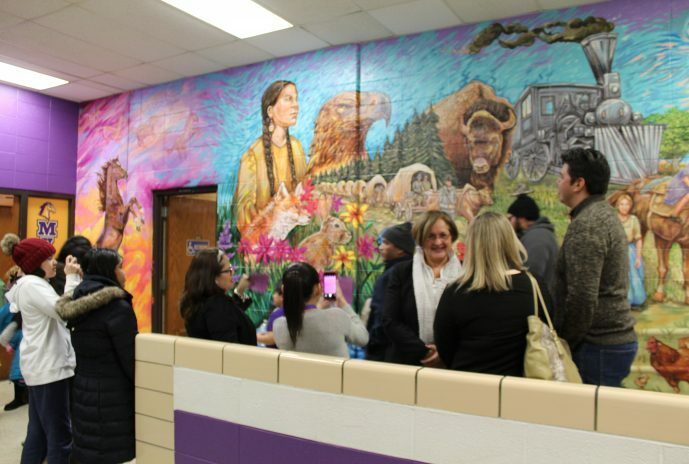 The mural is a chronological collection of historical events that shaped the Village of Melrose Park and will be used as a source of inspiration to learn more about the early settlers, events, and traditions that contributed to the formation Melrose Park. 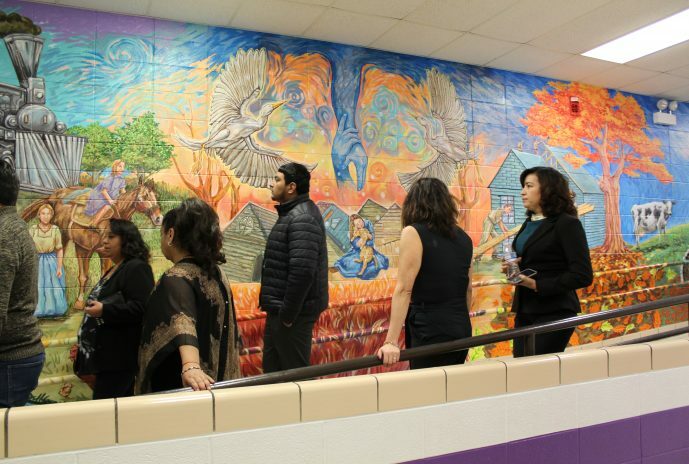 The mural artist, Jose Jimenez Hernandez, was born in Mexico, City where he began his street painting career inspired by the great murals of artists such as Siqueiros, Orozco, Camarena, and Rivera. 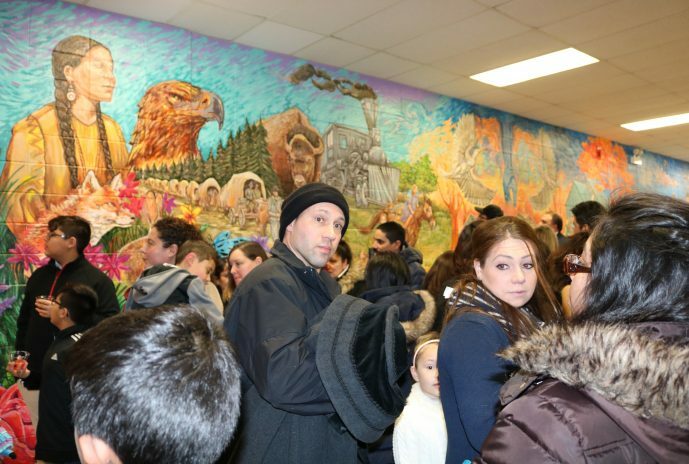 He was thrilled to work on the large-scale mural at Melrose Park Elementary School. 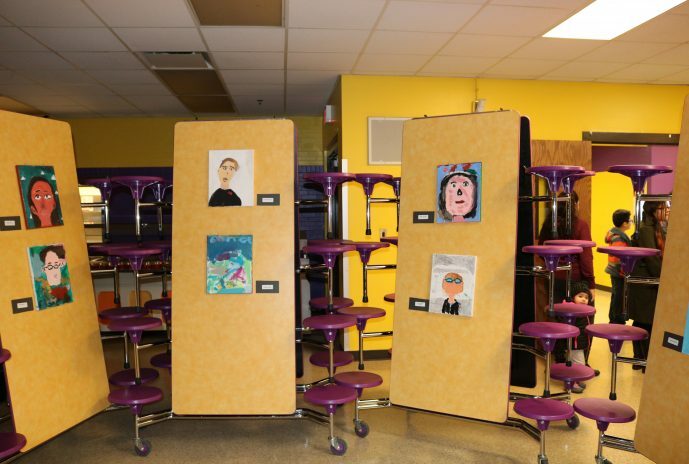 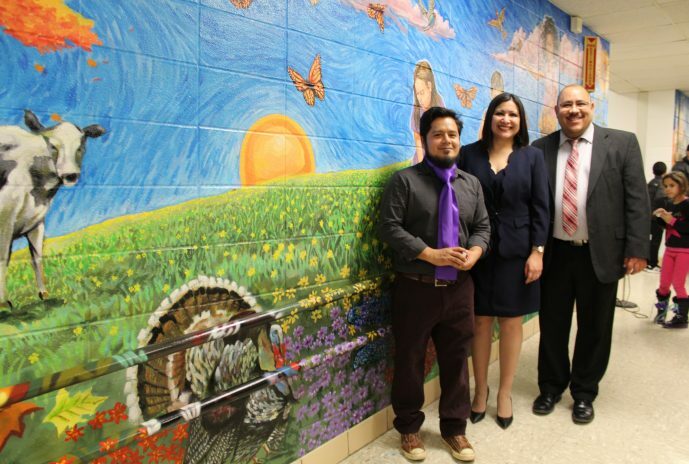 The mural was commissioned in collaboration with Principal Leticia Valadez and her team.